Hey guys! Filler time! Many of you may not remember the initial cover art for the Nasty Hack series. Well, basically it had me taking Miller to hell. While I loved it, it needed some changes. New characters have appeared, and I believe they need to be recognized as well. 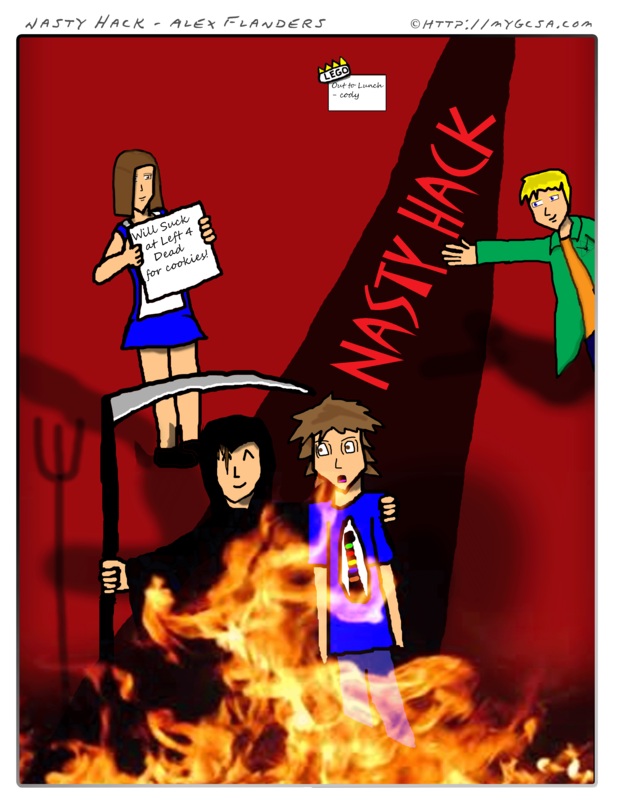 So therefore, behold the new Nasty Hack cover art!